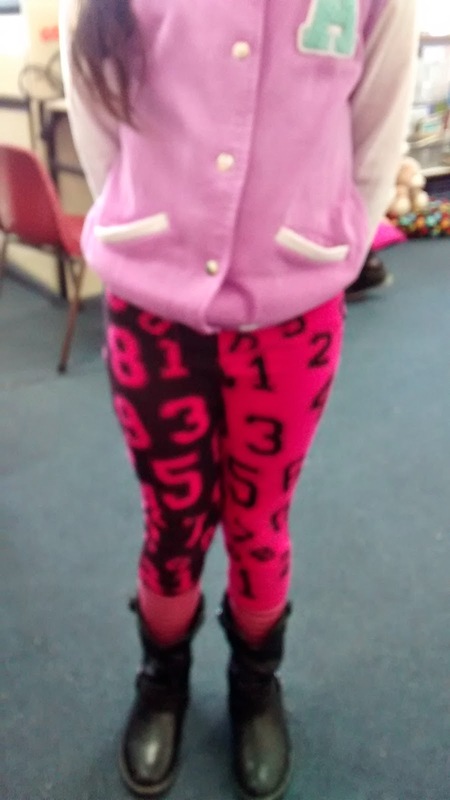 Veronica wore these leggings to school today. They had numbers on them. The numbers were in doubles. We practised our doubles and sang our doubles song. Thankyou Veronica. 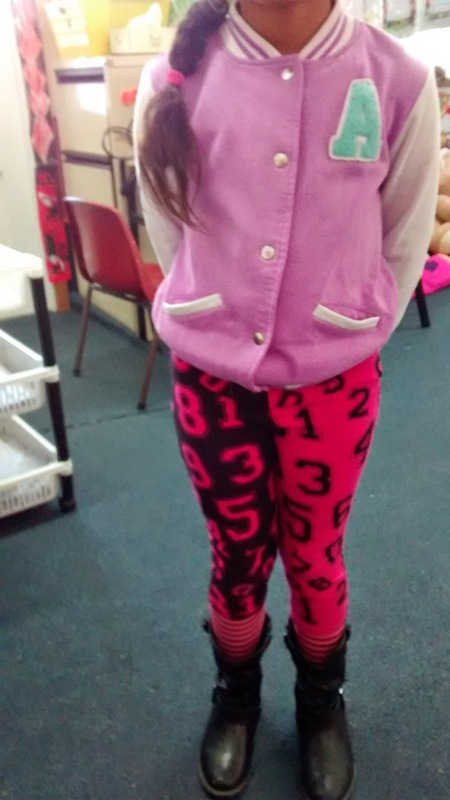 We loved your awesome 'doubles' leggings.